The Robert McLaughlin Gallery is a vibrant and engaging art gallery dedicated to sharing and protecting the stories of our communities through art, shared authority, education, and engagement. The Gallery is a meeting place for exploration and experimentation, a place where art, artists, and the community come together in conversation. 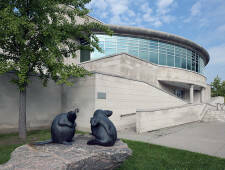 The RMG is a free-access public art gallery located in Oshawa, Ontario. We are the largest gallery in Durham Region, having an impact on the national, provincial and local arts landscapes. The RMG features a robust schedule of exhibitions, a dynamic education program and engaging multidisciplinary events. We are the stewards of a Permanent Collection of over 4,800 works of art of national significance. We strive to make a difference in our community. The RMG Board of Trustees sets policy, exercises oversight and provides strategic direction for the important work of the Gallery. Trustees’ terms are voluntary positions for a period of 3 years with the option to renew. Share our vision and passion for increasing interaction with, and awareness of modern and contemporary art. 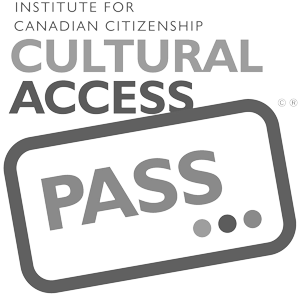 Are committed to providing meaningful, community based arts experiences for those in Durham Region and beyond. Bring a diversity of experience, cultures and backgrounds. Board meetings take place six times a year, plus additional time serving on active sub committees and acting as an ambassador for the gallery. You can anticipate contributing approximately 3-4 hours per month, as well as strategic planning sessions and regular communications. You must be a member of the RMG or willing to join. If you have any questions about the role or the application process, please contact Donna Raetsen-Kemp, RMG CEO at 905.576.3000 or draetsenkemp@rmg.on.ca. Please complete the application below, including your CV and a brief cover letter. If you would rather complete the application form by hand, please download this PDF, complete and email with your CV and a brief cover letter to Elsy Gould, egould@rmg.on.ca or by mail to The Robert McLaughlin Gallery, 72 Queen Street, Civic Centre, Oshawa, ON L1H3Z3. Please complete the application below, including your CV and a brief cover letter. What has your experience been with the RMG to date? Why do you want to join the RMG Board? What do you see as the key contributions you can make to the RMG Board?